I spent part of my day off the island to visit Mom and go to a doctor’s appointment. Bar Harbor was pretty packed with people, creating parking challenges that will last into September. But you know, the energy feels fresh, so bring on summer! Bring on the lobster eaters and the jewelry buyers! Once I got home, there was a community dinner at the Islesford Dock Restaurant to discuss the comprehensive plan for the Town of Cranberry Isles. Restaurant owners, Dan and Cynthia Lief treated everyone to a dinner of pasta with bolognese sauce, green salad and chocolate cake for dessert. It was nice to see such a good turnout of people from both of the islands. Thank you Dan and Cynthia, and thank you especially to Lise Pratt and her committee for sticking with this project for 6 years! Opening night at the Islesford Dock Restaurant is tomorrow. 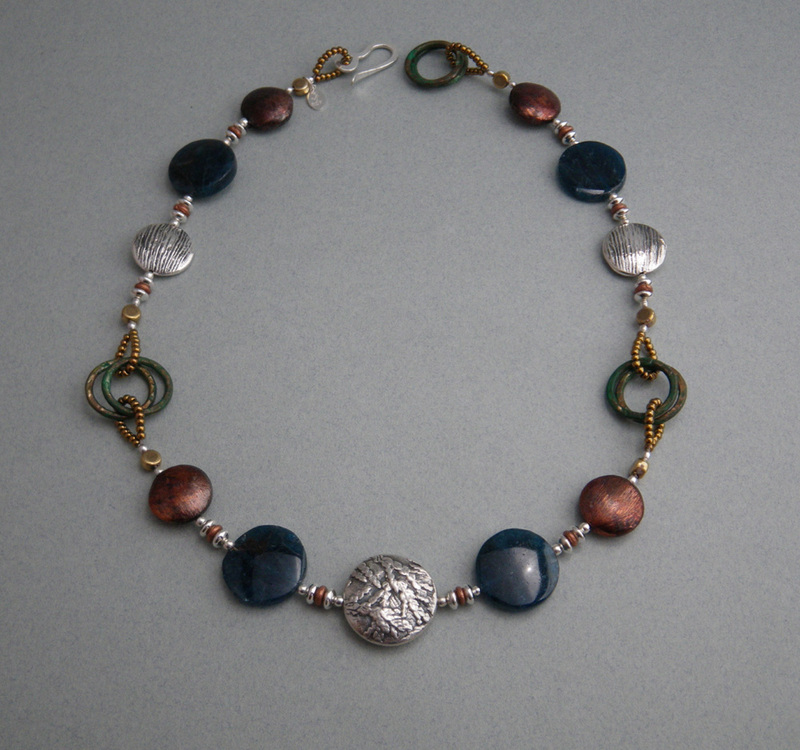 (Saturday) That means that Sue Hill’s shop, Winter’s Work is open as well. 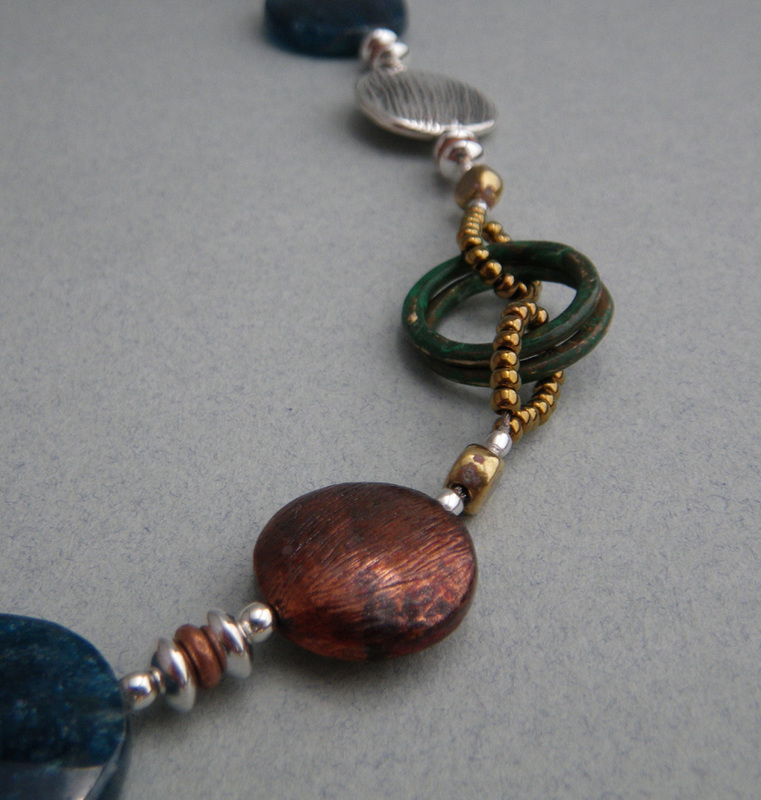 Don’t you just love these patina-ted copper components made by Shannon LeVart of Miss Ficklemedia? 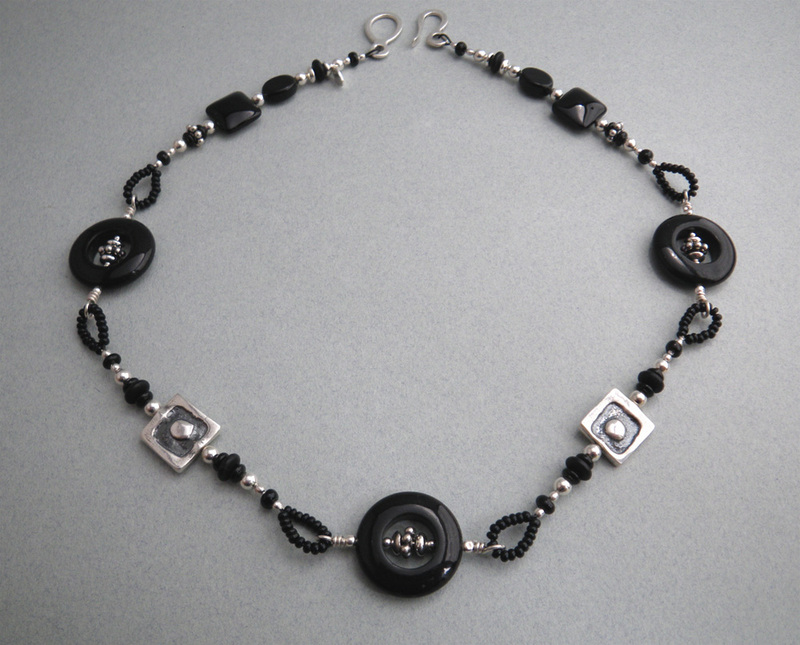 Her Etsy site is one of my favorite places to shop for beads. Check out the handsome crew of chefs at the dock. 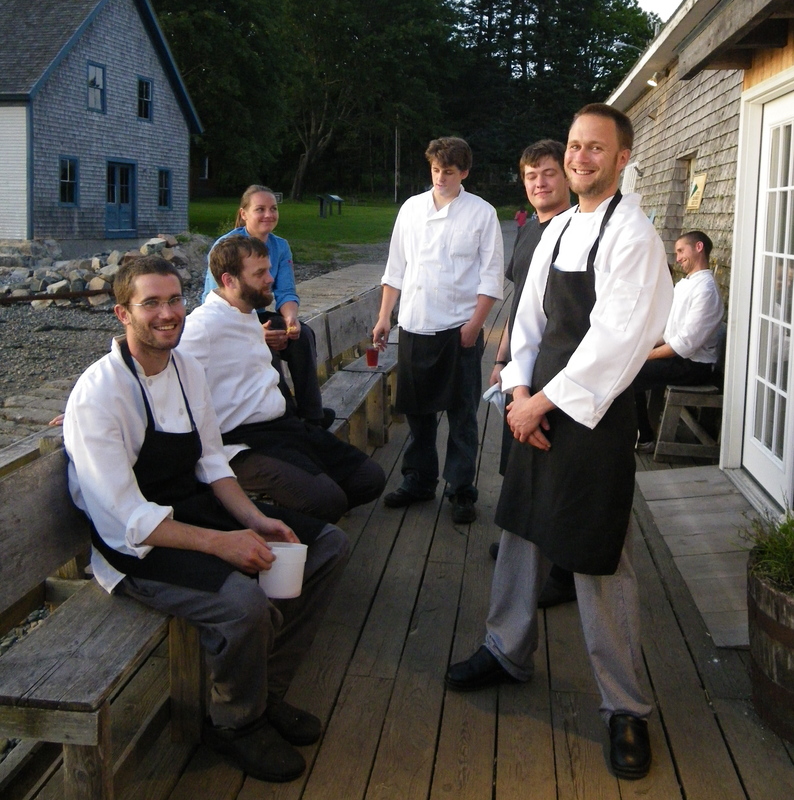 The photo is from last year, but most of this group is back again to whip up some amazing dishes for your dining pleasure at the Islesford Dock. I’m the proud mother of the guy on the right. 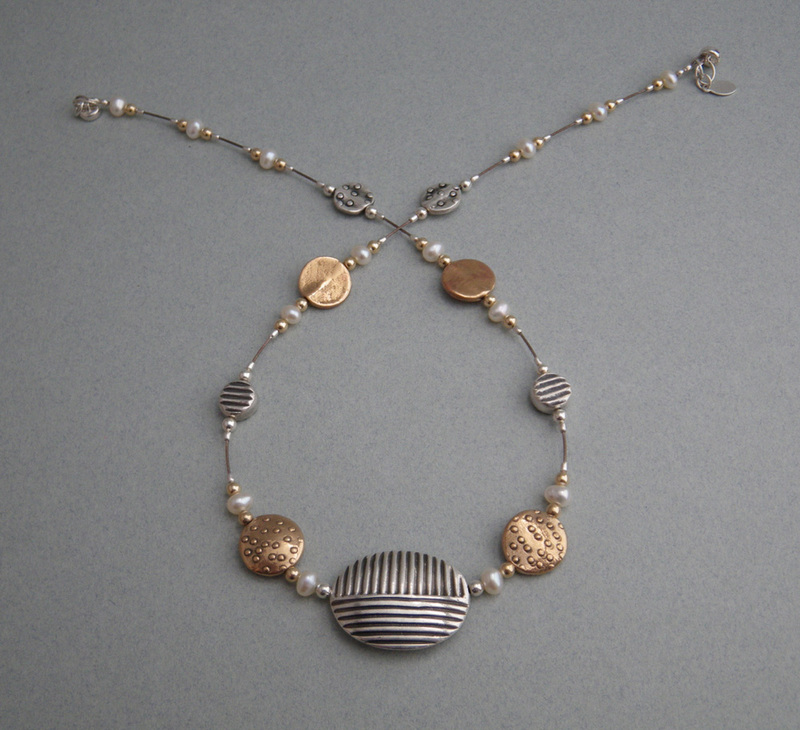 Love the necklaces. Chris said the meeting was a good one. So glad people showed up. Beautiful night for a boat trip and Dock dinner. Who wouldn’t want to go!?! Happy Father’s Day to Bruce!